Gratitude is a chosen state of being. 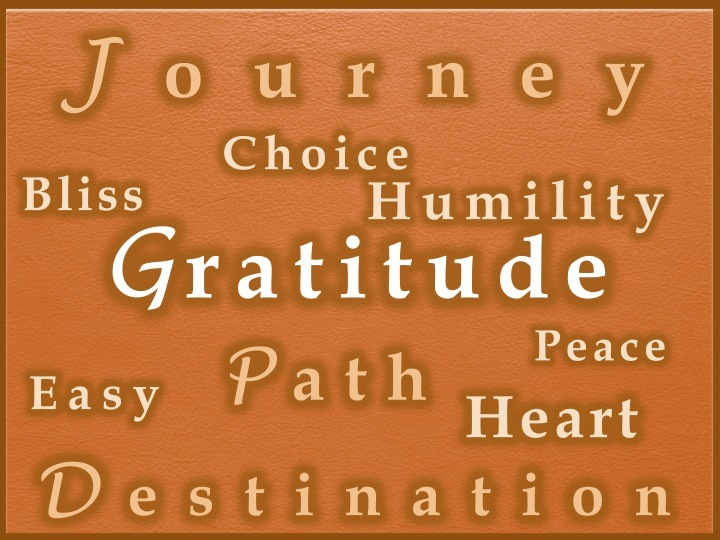 Gratitude emanates from your Heart – the home of your Soul and the source of all Blissful states of Being. Bliss is a Journey and a Destination. You arrive at Bliss along a Journey of Gratitude. One of the branches of your Journey is Humility. Be sure to walk the Path of Humility daily. It assures you a Bliss of depth and heals past pain held in your Heart. Everyone holds old pain in their Heart. The Path of healing pain is a path of conscious Choice. The Choice to honor your pain. The Choice to learn from your pain. The Choice to advance your Journey through (not around, not avoiding) your pain. The Choice to be Humble and Grateful for your pain and to move forward in Peace. Transform your pain to Peace and arrive in Passion for your Path. This entry was posted in channeling, compassion, consciousness, energy, enlightenment, heart, inspiration, love, peace, personal growth, spiritual, spiritual growth, transformation and tagged bliss, channeling, compassion, consiousness, energy, gratitude, heart, personal growth, spiritual growth. Bookmark the permalink.